Please goto here to read more. don't bother reading anything after here! Please go here to learn how to register for API keys and enter them into CMarks. The first Android app to give you access to all your Google Chrome™ Bookmarks, natively. Bookmarks and Folders are synced to this app on your phone and then kept in sync with your browser(s). Choose to automatically sync (with the full version) or manually sync. Create, edit, delete and launch bookmarks/folders (*). Changes made on your phone are instantly visible in all your desktop Google Chrome™ Browser(s). Changes made in Google Chrome™ are visible in this app seconds later, after a sync is performed. (*) Some features only available in the Full app. Google Chrome™ is a trademark of Google Inc. Use of this trademark is subject to Google Permissions. App Features, including a comparison chart. How-to use the app including screenshots. 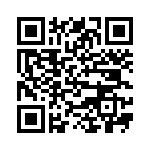 Download the app from the Market, Appbrain or the QR code here. The price varies depending on currency rates, but is approx $2 (us) or roughly £1.27. The app is also available on www.androidpit.com where you can purchase via PayPal and in more countries than Google will shake it's big stick at. CMarks is currently ranked number 7 in the world for "Communications" paid apps. To view comments and ratings, use the Android web market site. Alternatively, download "CMarks Lite" for free who provides the same core functionality, but none of the create/edit/delete or auto-sync features. 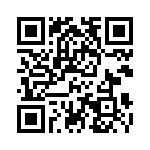 Market, Appbrain or QR code here. Within the first month of release, CMarks Lite gained over 10,000 downloads and was in the AppBrain "top ten apps" several times. After exactly a year on the Market, it now has over 250k downloads.